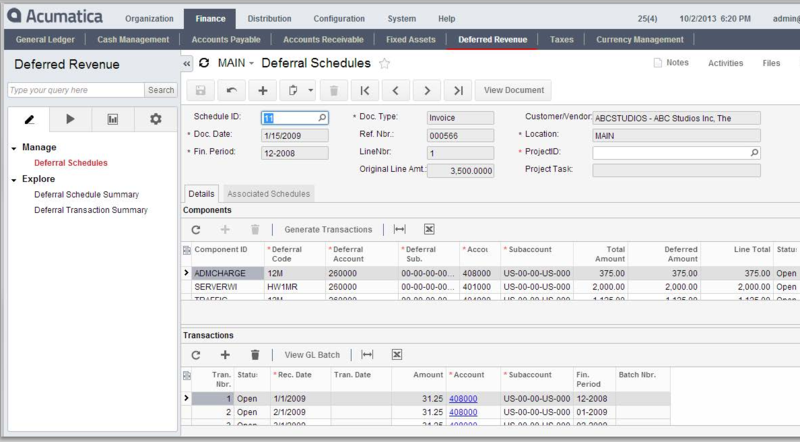 The Acumatica Financial Management Suite Deferred Revenue Management (DR) module allows you to automate and accurately account for situations where you need to recognize revenue in future time periods. Automate any deferred calculation by assigning a schedule to any transaction line item or inventory component. Acumatica’s advanced deferred revenue functionality is included at no extra cost and integration with other financial modules such as general ledger, cash management, accounts payable and accounts receivable provides accurate accounting of both deferred revenues and deferred expenses. 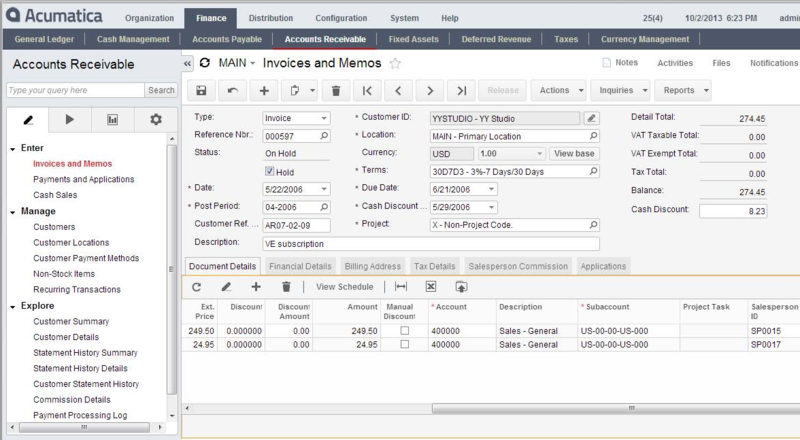 Acumatica automatically calculates deferred revenue accounts according to schedules that you establish. As time passes, deferred revenue is automatically recognized so your financial statements are automatically updated. Recognize revenue evenly across financial periods, prorate recognition by the number of days, or recognize revenue when payments are received. This level of flexibility allows you comply with all recognition requirements - even in situations where revenue collection is uncertain.